When we talk about choosing bathroom flooring, there are many factors you keep in mind which is much different from choose flooring in other areas of the home. Whether you are walking on bathroom floor or creeping into a relaxing bath, your bathroom floor tiles should have the comfort to walk on bare feet. Not all tiles can be used in wet or moisture area like bathroom and also very important, bathroom tiles should be bacteria free and should not have any instant scratches. Choosing the perfect floor tile will create a soothing and durable tiled floor. Explore a huge range of tile designs and textures with highest quality of bathroom floor tile materials available in affordable prices at our Bathroom Tile Store. Overview: Ceramic tile is the best of all options for bathroom flooring –water resistant, stain resistant, scratch resistant, and most durable. Advantages: Ceramic tile is one of the best options for bathroom flooring that can be engaged in a variety of environments without any worry about the constraints of water, stains, and design. Ceramic Tile is very durable and tough material so it is very difficult to crack. It is very easy to maintain and needs very less care. Because of its hard surface of ceramic tiles, it doesn’t attract any dirt or dust. Downsides: As ceramic bathroom floor tiles are very hard and cold, it doesn’t hold on to heat very well. These tiles are very slippery, but grouting and texturing can provide the non-slip surface. Overview: Waterproof, scratch resistant and less maintained. Advantages: Porcelain tiles because of its cool looks, can be used anywhere. It is hard wearing material so it can resist stains, scratches. It needs very less maintenance and easy to clean. Porcelain bathroom floor tiles are very less prone to absorbing the moisture whether you choose glazed porcelain or unglazed porcelain tile. Downsides: The main disadvantage of the porcelain tiles is its density. These bathroom floor tiles are too hard and very difficult to cut the tiles. These tiles are very heavy in weight and if accidentally dropped it would break. 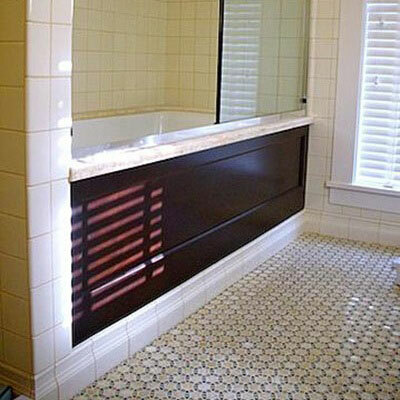 Advantages: Vinyl bathroom flooring is very compatible with high traffic areas of the house like a bathroom. It is best known for its waterproof properties. This tile material cost is very less as compared to hardwood floors. It is comparatively less costly. Downsides: Vinyl bathroom floor tiles are very prone to gouge so better to avoid dragging heavy furniture across the surface. It is also necessary to apply vinyl to smooth surfaces and there is a possibility of visible seams. Advantages: The main attraction of the glass bathroom floor tile is its beauty. You can make a choice between solid and multicolored tiles simple or intricate patterns and also find a lot of options in glass mosaics. These floor tiles are resistant to stains, mildew and chemical damage and these are not porous. Its luminous appearance makes it more beautiful. It tends to reflect light, it doesn’t absorb it. Downsides: As you go with the look of glass tile, its cost is very high as well which starts from $7 – $30 per square foot. Unlike other tiles, glass bathroom floor tiles are very difficult to install. 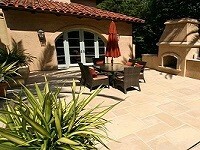 Overview: Natural Stone look and also durable. Advantages: One of the most stylish and fashionable material, you can use for your bathroom floor is pebble tile flooring. Pebble Tiles can be available in different colors and patterns. It is an eco-friendly material and apart from it, these bathroom floor tiles are very strong and impervious material. Downsides: Lying on pebble tiles is a very time-consuming process to seal all the cracks and need polish several times depends upon different types of stones. Overview: Classic and sleek look but requires lot of time in cutting, grouting process because it needs perfection. Advantages: You can notice various looks with mosaic bathroom floor tiles. If you want some creative design in bathroom flooring, you can get a customized design tile like what you want. The density of the material is much high. You can also get recycled mosaic tiles which reduces the consumption of natural resources. Downsides: The problem arises when scratches start to develop on mosaic bathroom tile flooring because it is very difficult to remove scratches and its attractiveness is continuous reduced. Overview: Saltillo bathroom floor tiles come with a rough textured surface and also absorbs water quickly. Advantages: Saltillo Tile is a rough-edged terracotta tile. It is found in few shades of red, yellow and orange. These floor tiles are inexpensive as compared to other tiles and provide a unique and warm look. Downsides: Its installation is a time-consuming process as these tiles are porous, unglazed and easily stained and have chances of absorbing grout, mortar, and other materials. Overview: Limestone is a very soft stone, easy to install but requires safety even from sand and grit also. Advised to avoid bleaching as can damage the natural appearance of Limestone bathromm flooring. 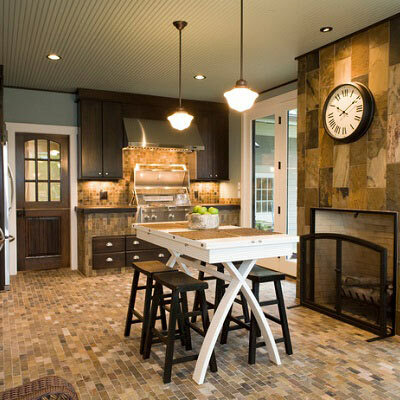 Advantages: It is one of the most beautiful flooring options and gives a rustic, earthy and timeless look. Apart from looking great it also settles down properly. If you have the time or housekeeping help to maintain so these bathroom floor tiles are the best choice for you. Downsides: Limestone Tile requires high maintenance. Overview: Marble is a natural stone created from crushed limestone and heated by the earth for millions of years. Marble is highly polished stone material and comes in a variety of sizes, patterns, and colors. When it comes in contact with water its surface can be slippery. Advantages: Marble has a reputation as one of the most luxurious design materials and it creates an eye-catching look for bathroom flooring. Marble tile and stone has an extremely high tolerance for polishing. It means you can keep the floor always smooth and shiny. Though it is natural, occurring substance, so naturally, it is bio-degradable which makes it eco-friendly flooring product. Downsides: Marble bathroom flooring that gives a luxury look can be eye-catching but its price can be spoil-sport for you. One 12*12 can cost between $5 and $16. Polished marble is easy to scratch so sliding of any object can create long scratches across its surface. Overview: Durable than other natural stones and well used for high-traffic areas. Advantages: Granite is one of the hardest materials among natural stones. 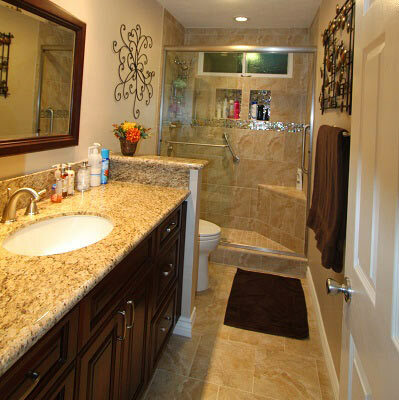 Granite stone gives an outstanding look to your bathroom area. 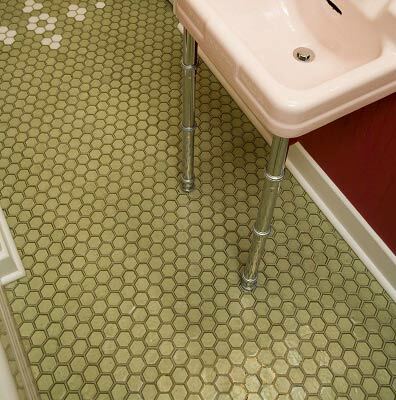 You can have various colors and patterns in these bathroom floor tiles. It is very resistant to stains or scratches. Dependable, strong and last long behavior are some other properties which are enough to make you attract towards this. Granite is the best option for the homes which are situated in a warmer place. Its bacteria-free nature makes it a good choice for bathroom area where water is used in excessive. Downsides: Granite is a very heavy material and needs an expert professional help for installation and maintenance as Granite bathroom flooring is very sensitive when treated with different types of chemical solutions. Overview: Slate Bathroom floor tiles provide a textured and non-skid surface. 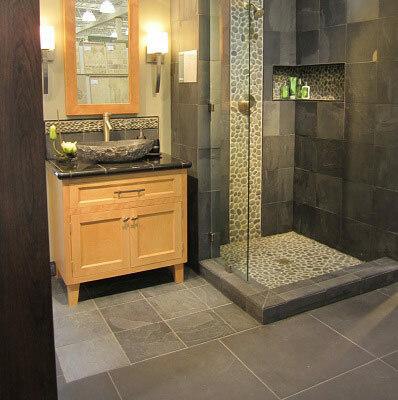 Advantages: Slate tile has the specific ability to bring unique and add beauty to the bathroom floors. Its uniqueness is the main attraction for people because slate is mined it is not produced in a factory. This floor tile resists water damage very well. 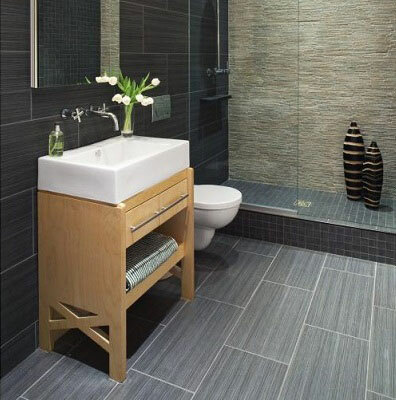 Another quality of slate tile is that it is naturally slip-resistant which the main concern for bathroom purpose is. Downsides: It requires time to time maintenance you have to seal the tile both above and below the surface and it needs resealing as time passes by. It is hard to find the same slate that matches with your existing floor because of its uniqueness. Overview: Typically rough and durable. Stone bathroom floor tile requires a waterproof membrane to withstand moisture in a bathroom. 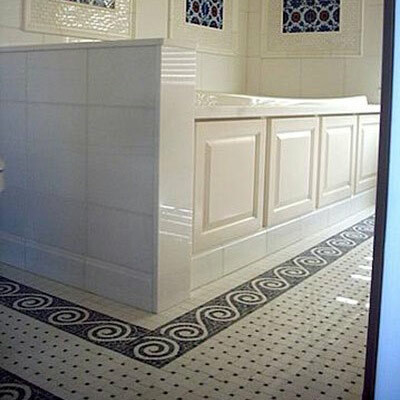 Advantages: Many tiles options are available on the market nowadays. 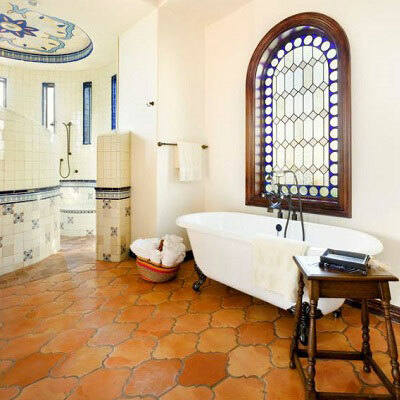 Whether anyone agrees or not, stone tile is one of the most graceful options to beautify your bathroom. Its look is very pleasing because it gives a look of pure nature. It is an eco-friendly material. It keeps itself cool in warm surroundings and keeps allergies away from your bath area. Downsides: Most of the natural stones are highly porous and it absorbs the mark very easily. Natural stone tiles need polish many times. Overview: Travertine tile is a multilayer stone and available in a variety of earthy colors. 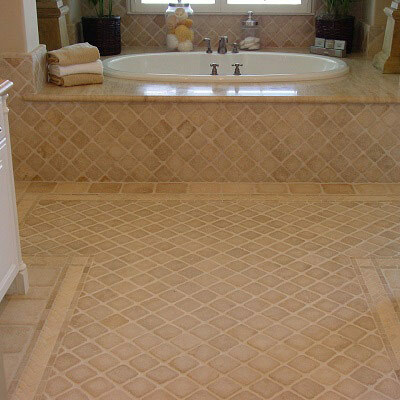 Advantages: Another durable bathroom flooring option we can think about is travertine flooring. 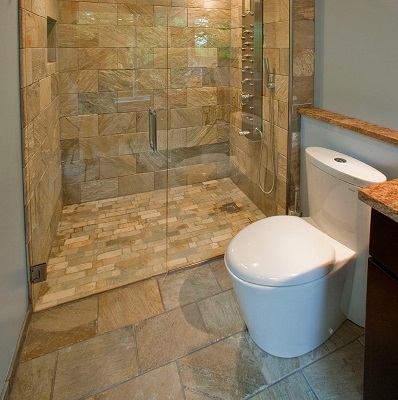 Filled up with natural beauty, travertine makes it gorgeous flooring choice for a bathroom. You can have 4 main finishes travertine polished, honed, tumbled, and brushed. If you like a glossy look, you can go with polished travertine. Unpolished travertine makes an excellent traction so don’t worry about slipping and sliding. Downsides: The main disadvantage of travertine bathroom floor tile is its porous structure. These tiles are highly reactive to acidic substances like alcohol, vinegar so don’t try to clan tiles with these. 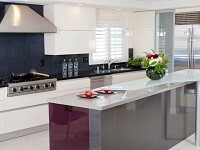 Overview: Natural stone look and an eco-friendly choice. Advantages: Sandstone tiles make the best flooring appearance for bathroom flooring. Like some other tiles, sandstone bathroom flooring shows the beauty of nature which makes the particular area even more beautiful. Eco-friendly nature of these bathroom floor tiles makes it even more glamorous and replacements of these tiles are simple in comparison to other tiles. Downsides: Sandstone bathroom floor tiles are known for being a porous material. It has an absorption rate of 1%-6% which makes it prone to damage from liquid stains. It can have scratches easily and polished sandstone can make its floor slippery in the bathroom area.